Beer baths have a curative effect on the complexion and hair, relax the muscles and joints and boost immunity. The Czech Republic is a country where beer is literally a national treasure. It is no doubt that Czech beer is one of the best in the world. The tradition of hop cultivation has a long history in the country. Beer of the highest quality has been brewed here for centuries, and it has become deeply embedded in the national culture. It’s no coincidence that the Czech Republic has the world’s highest consumption of the spirit. One of the most interesting and unforgettable experiences in Czech Republic is definitely visiting beer spas in the country. It is interesting to know that as well as tasting great, Czech beer also possesses healing qualities. Modern science has managed to determine its qualities perfectly and has discovered that beer demonstrably boosts the organism’s stamina, benefits the vascular system, helps relax the muscles and harmonizes bodily functions. You can indulge in beer wellness both at spa centers and elsewhere. In the very heart of the best-known Czech spa town, Karlovy Vary, you can experience for yourself the unique effects of beer at different spas. There you can bathe in handmade whirling tubs of Royal Oak, an eternal symbol of longevity and endurance. The original recipe is used consisting of brewer’s yeast, selected varieties of hops, malt and peat extract. While bathing, you can drink an unlimited amount of light and dark beer, helping the hydration of your body. You will be rewarded by not only the taste of excellent beer, but also the release of tension, fatigue and stress, the washing out of harmful substances from your body, the regeneration of your skin and absolute mental and physical relaxation. 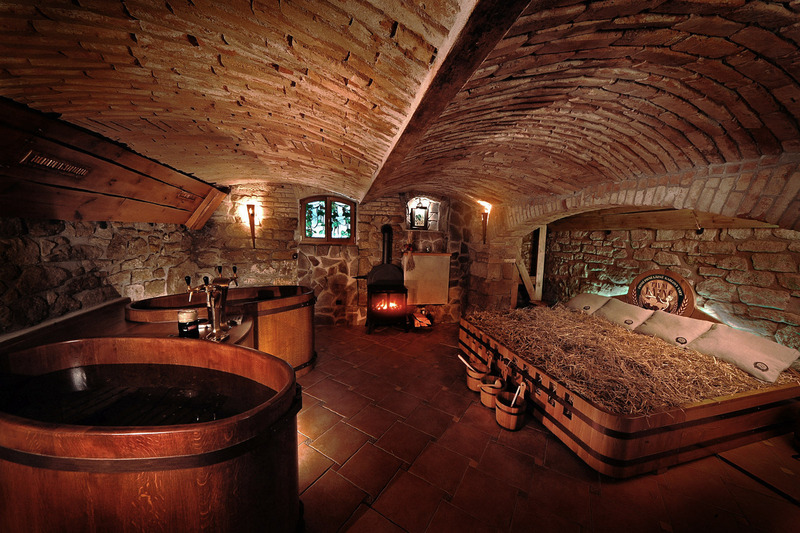 Beer spas can also be found at other spa towns, such as Jeseník in Moravia. Rejuvenating spa therapies using a combination of the healing effects of hot mineral water, beer, the ingredients used to brew it, and special massages are a unique way to make your stay in Czech Republic even more memorable. The procedures have a curative effect on the complexion and hair, relax the muscles and joints and boost immunity. Comments to "Beer baths in Czech Republic"